Posted on Nov 25 2013 at 2:36 pm. Posted on Mar 28 2013 at 8:46 pm. ArtsBuild Ontario is proud to announce Online Learning for Arts Organizations through lynda.com! Have you ever wanted to work on your skills but haven’t had the time or didn’t know where to start? Now you can! lynda.com has over 1,600 online classes in hundreds of different subjects including software training, creative and business skills (including project management). With new courses being added monthly (in english and en français), you’ll always find new courses to build your professional toolkit. 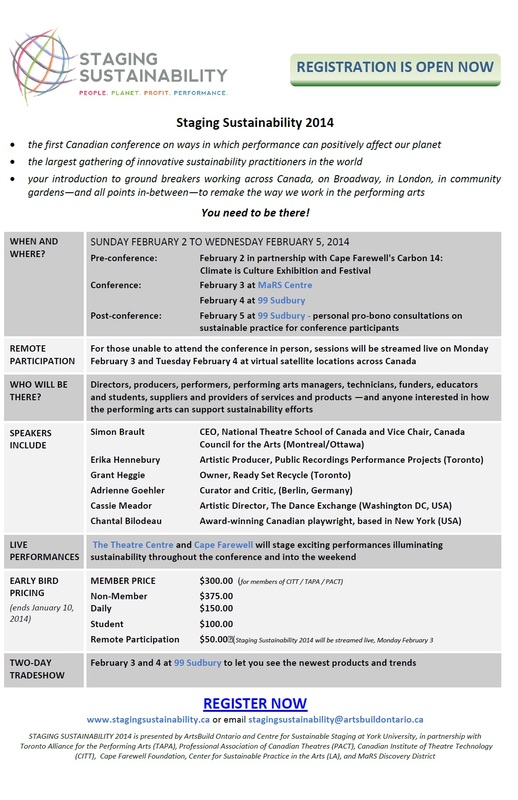 What’s even better about this partnership is that ArtsBuild is able to offer this service to arts organizations for only $150, compared to the regular $350 rate for individuals! Not convinced? Here are the Top 10 reasons to sign up: http://bit.ly/lyndaTop10 (or sign up for their free 7-day trial!) If you are convinced, sign up today: bit.ly/lyndasignup! Posted on Feb 6 2013 at 4:11 pm. ArtsBuild Ontario and WorkInCulture (formerly Culture Careers Council Ontario), are pleased to announce the 16 mentorees that will join the inaugural session of their new joint initiative — the Arts Facilities Mentoring Network. Comprising a diverse cross section of Ontario’s arts organizations, the Arts Facilities Mentoring Network will help arts sector leaders who manage creative spaces, including theatres and galleries, share and learn from each other. Posted on Dec 6 2012 at 6:38 pm. ArtsBuild Ontario is pleased to welcome Randy Dalton, President, The Dalton Company Ltd., and Christopher Loreto, Senior Consultant with Strategy Corp, to their Board of Directors. Chaired by Steve Mumford, President & Chief Executive Officer of the Creative Arts Savings & Credit Union, the ArtsBuild Board provides strategic advice and industry expertise critical to fulfilling ArtsBuild’s mandate of supporting the health of Ontario’s arts organizations by creating and realizing long-term solutions for their facility challenges. Posted on Jul 26 2012 at 10:34 pm. 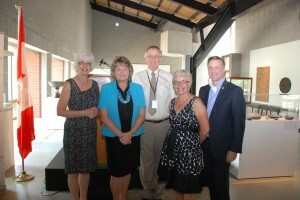 (L to R) – Betty Anne Keller (City of Waterloo), Waterloo Mayor Brenda Halloran, Bill Poole (Waterloo Clay & Glass Gallery), Adele Dobkowski (ArtsBuild), MP Peter Braid. WATERLOO, Ontario (July 24, 2012) – A new investment from the Government of Canada will benefit Ontario arts organizations and create jobs and growth. Peter Braid, Member of Parliament (Kitchener–Waterloo), on behalf of the Honourable James Moore, Minister of Canadian Heritage and Official Languages, today announced funding for an innovative project by ArtsBuild Ontario. The project brings together seven Ontario non-profit and private sector partners. This collaborative initiative will allow 944 cultural organizations across Ontario and in Calgary—as well as service organizations, arts councils, and others that support their work—to benefit from new tools, resources, and training related to facilities management. The Government of Canada is providing $600,000 under the Strategic Initiatives component of the Canada Cultural Investment Fund. The Strategic Initiatives component provides funding for projects supported by multiple partners and benefiting many organizations. These initiatives help arts and heritage organizations diversify their revenue streams and strengthen the efficiency of their management and business practices.